L'Oreal's Infalliable 24-Hr Matte Foundation is a liquid foundation that I would say is pretty much 'foundation-to-powder' finish, it only takes a matter of minutes after applying & blending in that it dries to a matte finish. Normally, I have found in the past this type of formula to be very thick & uncomfortable on my skin. Not to mention applying any other cream products once they've dried to a 'matte' finish, isn't the most fun in terms of blending seamlessly (clue: it doesn't). 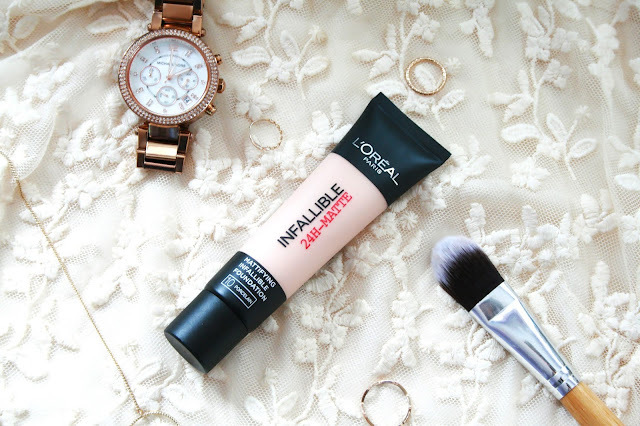 I really like the range of shades this foundation has in terms of pale skin, with my last L'Oreal experience I didn't get on so well. I have the shade '10-Porcelain' which is a really, really good match for my skin tone, hurray for no struggle with shades for once! I've even been thinking of getting his in a darker colour for when I tan as it's such a decent long-lasting foundation for the daytime! 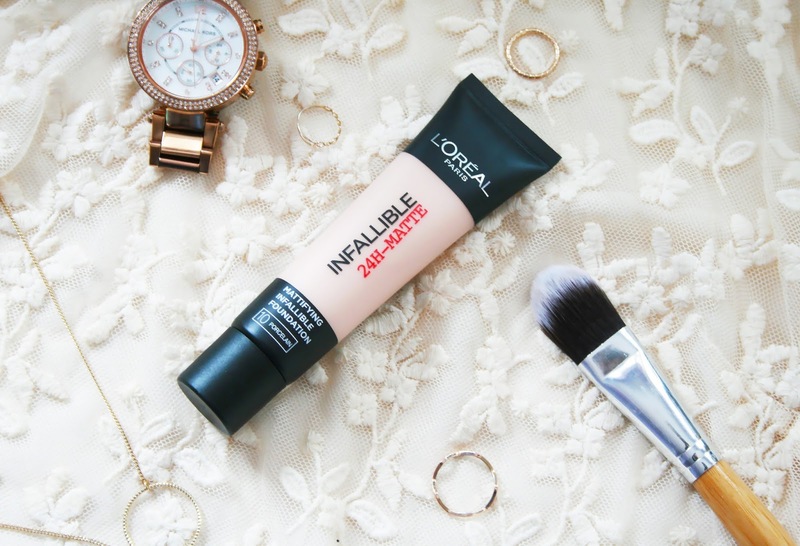 I find this lasts me throughout the day well, and as per usual only needs a quick dusting of powder midday to keep that shine at bay (damn you oily skin). 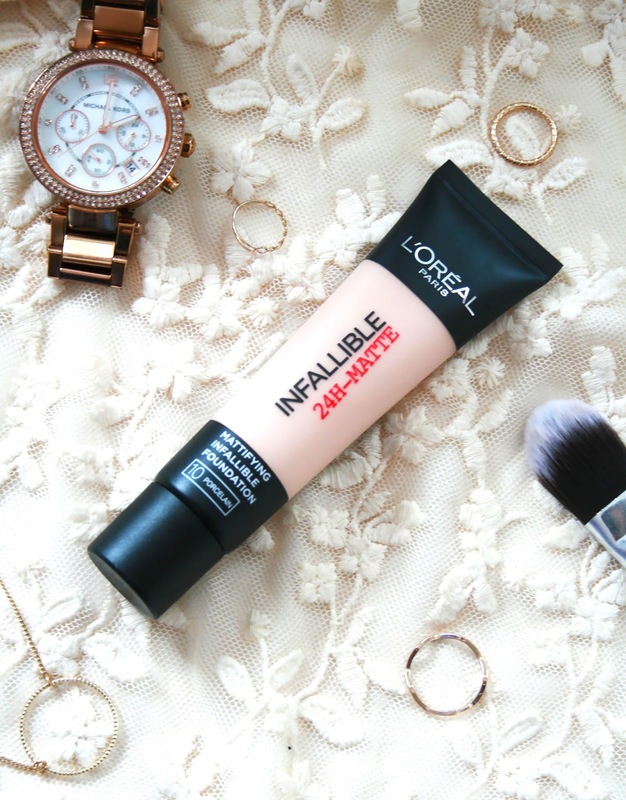 Overall, I've surprised myself & expectations with this foundation, I honestly wasn't expecting much but after seeing it used in a fair few beauty vlogs I decided to give it a go. I think it's great for a work day complexion when you have a busy/long day and want something that's long lasting without breaking the bank. I've even been thinking of getting the original Infallible foundation for days I want more of a glowy complexion, so if anyone with oily skin has tried this out then let me know how you got on with it!